Urbandale Diploma. Forty-six (46) credits are needed for graduation with a standard Urbandale Community School District diploma. A credit represents one semester of study meeting daily or the equivalent thereof. Exceptions are Vocal and Instrumental Music and Health, which receive one-half credit. Teaching Assistant/Volunteer Education, Peer Facilitator, Student Mentor, and Independent Projects receive partial credit based on participation time. Physical Education receives one-fourth credit per semester. A minimum of a “D-” grade is required to earn a credit. Physical Education. Students are required to take a total of two (2) credits in the area of physical education. Students who graduate in less than eight semesters will have a reduced PE credit requirement. The minimum total of all credits required for graduation will not be affected by the reduction of regular physical education credit. A student who fails to successfully complete a physical education course and then subsequently is medically unable to participate in physical education shall make up the physical education course at a later date when possible or by completing a health/PE course by extension, such course to be approved in advance by the principal. Electives. Electives chosen by the student, with assistance from teachers, parents, and counselors, will complete the total number of credits needed for graduation. Credits earned from other institutions must be approved by the building principal to count towards graduation requirements. Students who successfully complete high school electives prior to high school may opt to use these credits for high school graduation and subject-specific graduation requirements. Doing so requires written consent from the student’s legal guardian and will result in the course and grade becoming part of a student’s official high school transcript and grade point average. Early Graduation. Students are permitted to graduate at the end of a semester or summer session provided all graduation requirements are met. 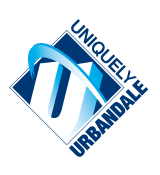 Students must complete their final semester at the Urbandale High School in order to qualify for early graduation, except that a student may complete his/her final graduation requirements during the summer. Students graduating early will be ineligible for participation in co-curricular activities and class activities, except that they may attend prom and commencement activities. Students Requiring Special Education. Graduation requirements for students requiring special education will be in accordance with the prescribed courses of study as described in the individualized education plan. However, the total credits required for graduation may not be modified by the IEPs. Prior to graduation, the IEP team shall determine whether graduation criteria have been met and notice shall be given of the planned graduation. Transfers In. If a student has previously attended an accredited school, appropriate course credit shall apply towards graduation requirements. If the student has not attended an accredited school, the District need not accept the credits towards graduation.